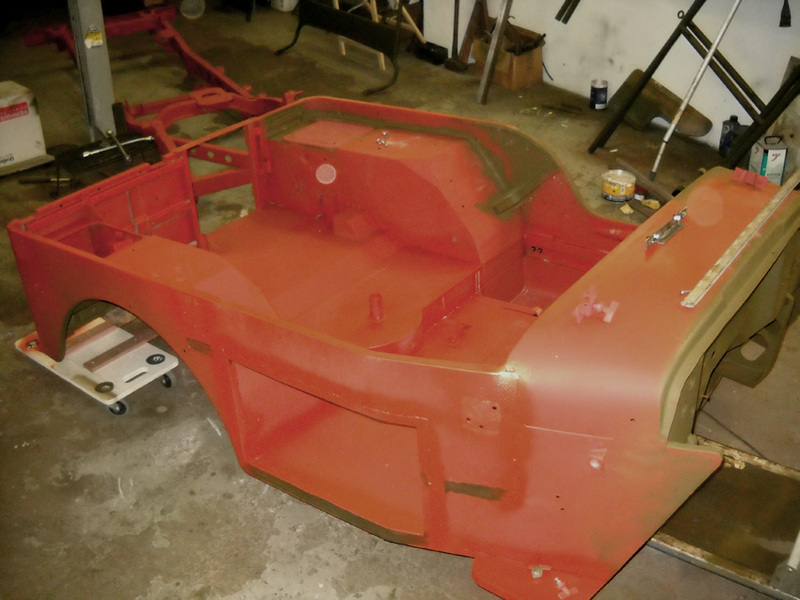 The last step in the restoration of frame, body and superstructure was to give it the right color. 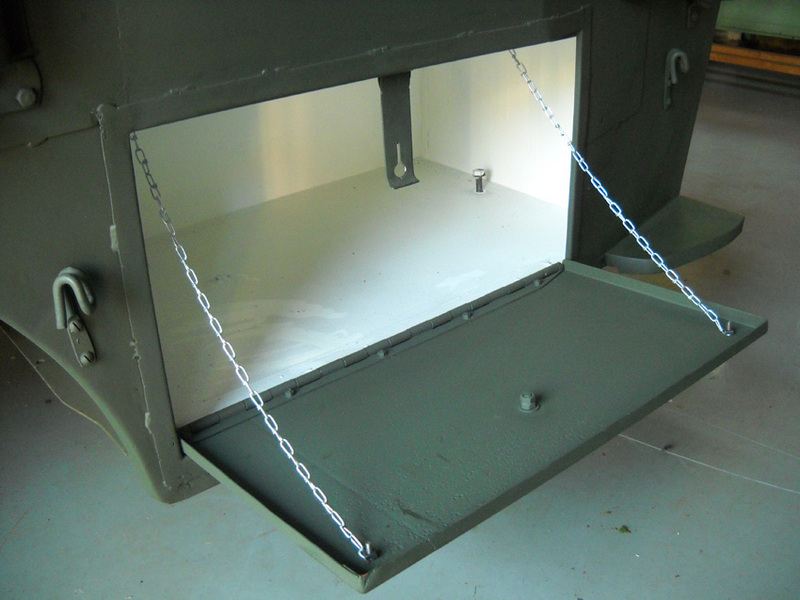 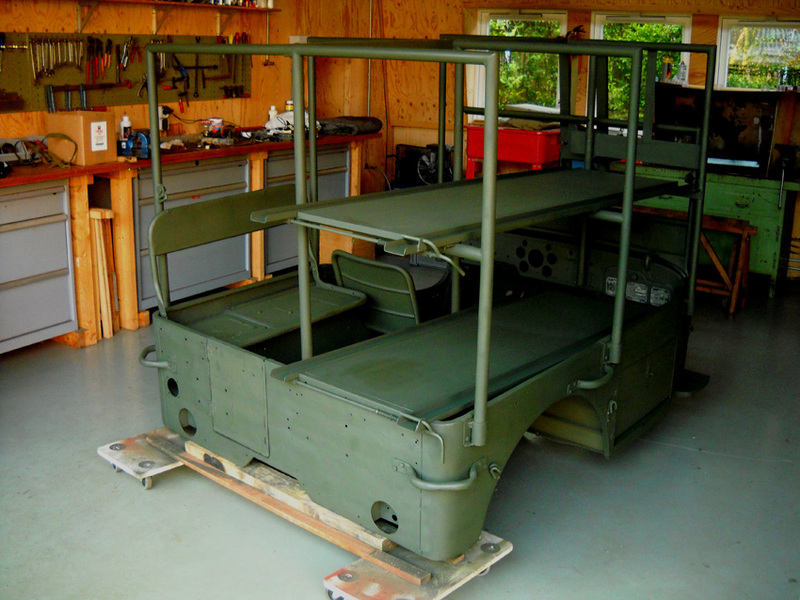 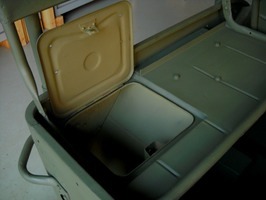 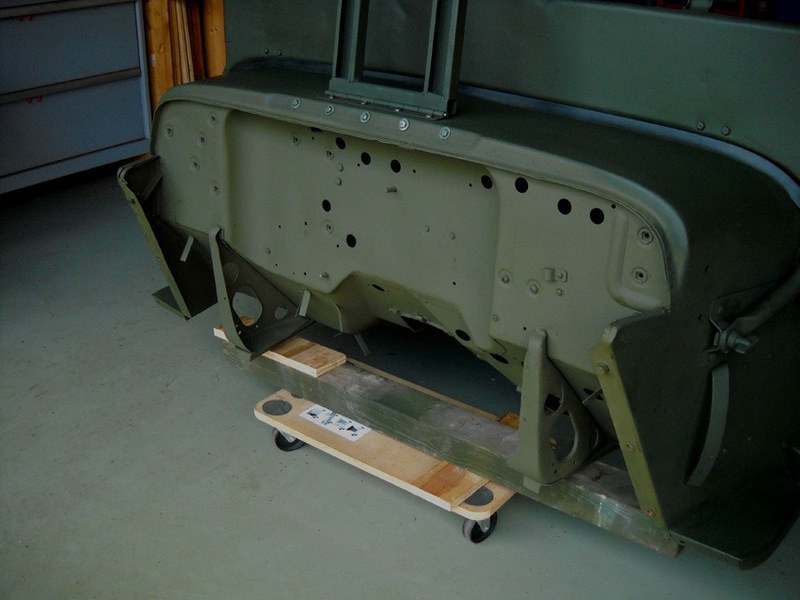 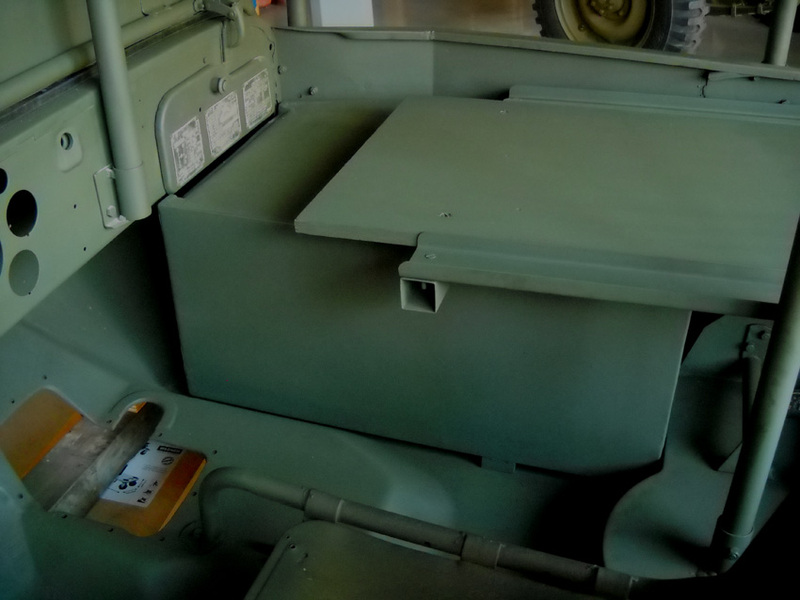 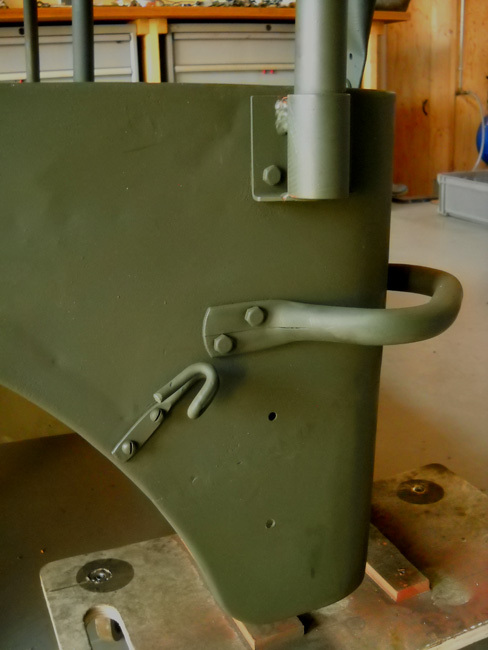 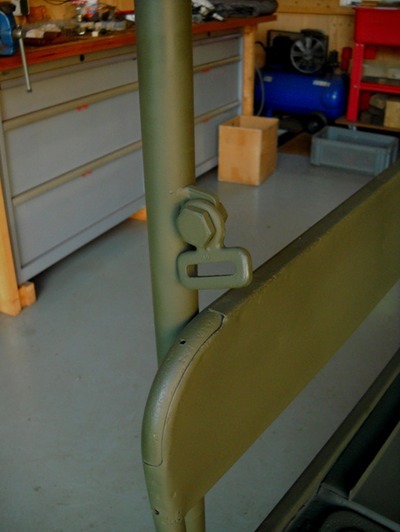 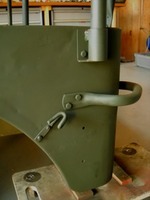 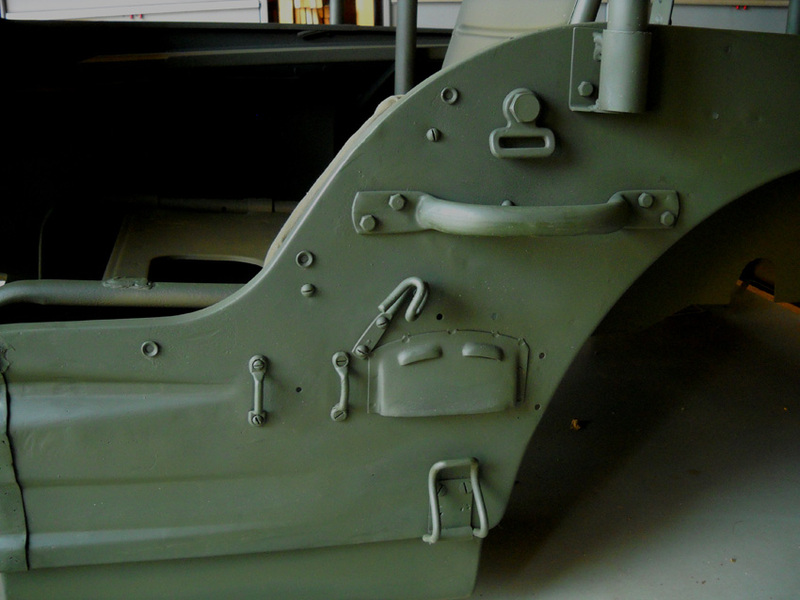 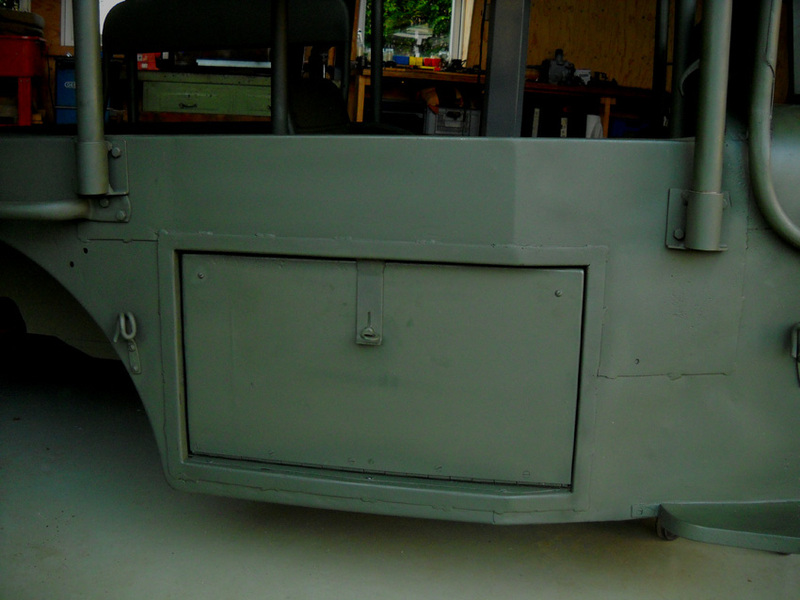 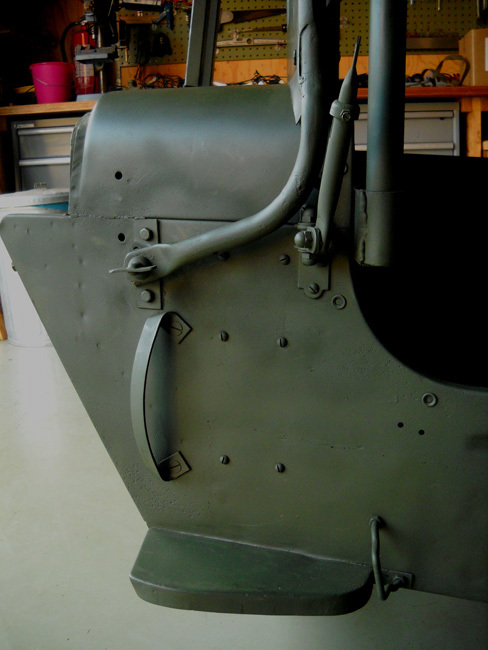 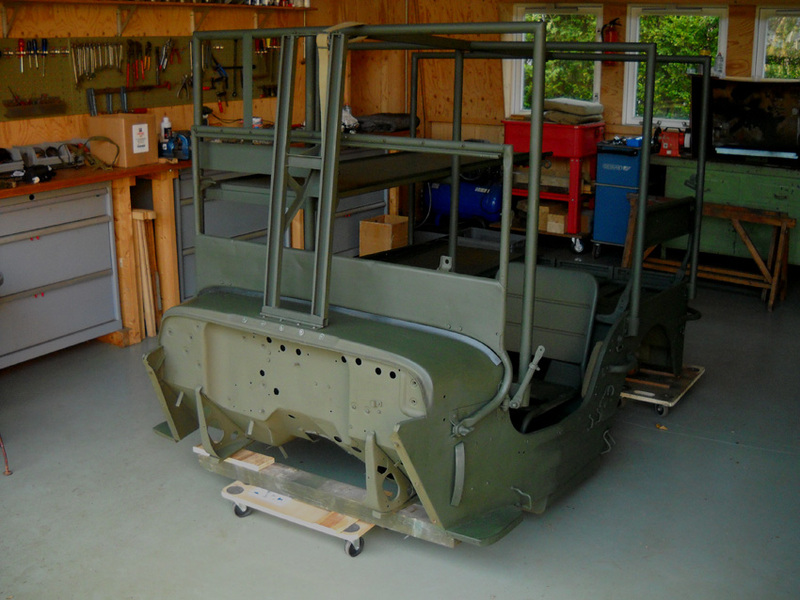 First the body, frame and superstructure were spray painted in red oxide primer, then the original jeep parts were spray painted army-olive drab (OD). 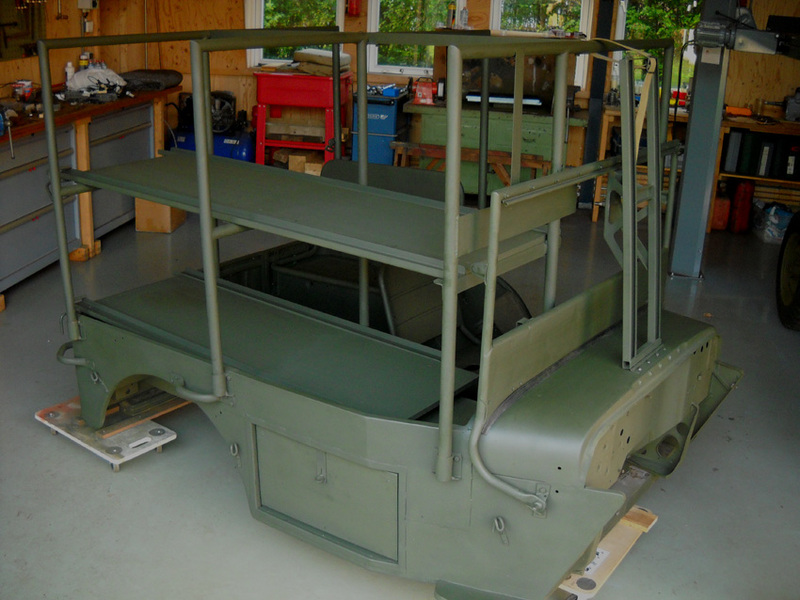 The second type amb jeeps were no longer navy contracted Willys (MB) jeeps but a mixture of Ford (GPW) and Willys (MB) jeeps purchased from the U.S. Army. 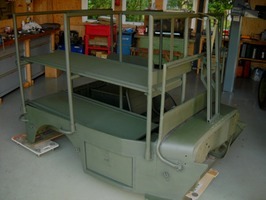 These jeeps were first modified to amb jeeps and only painted forest green when completely assembled. 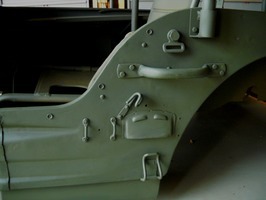 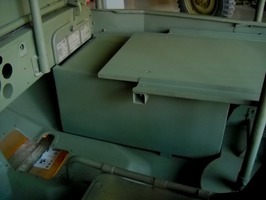 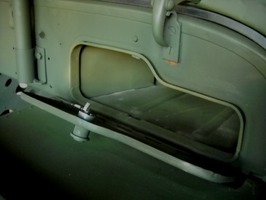 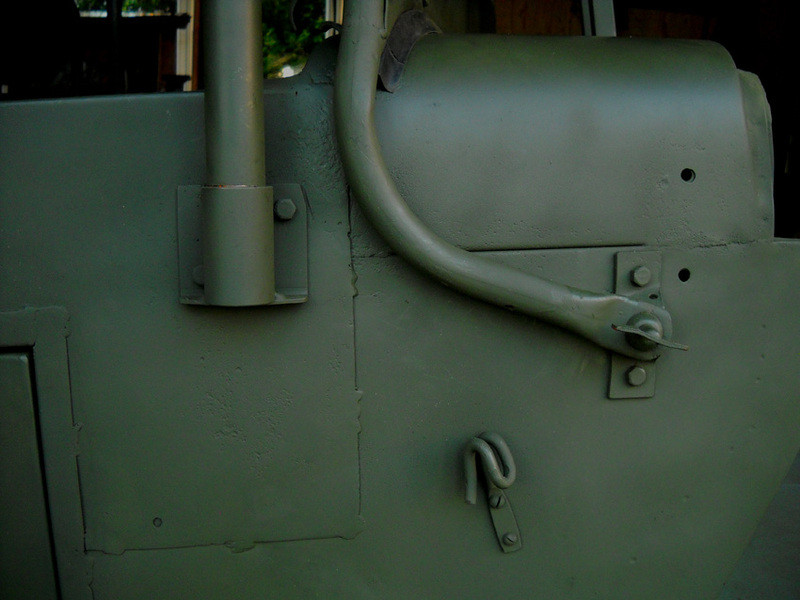 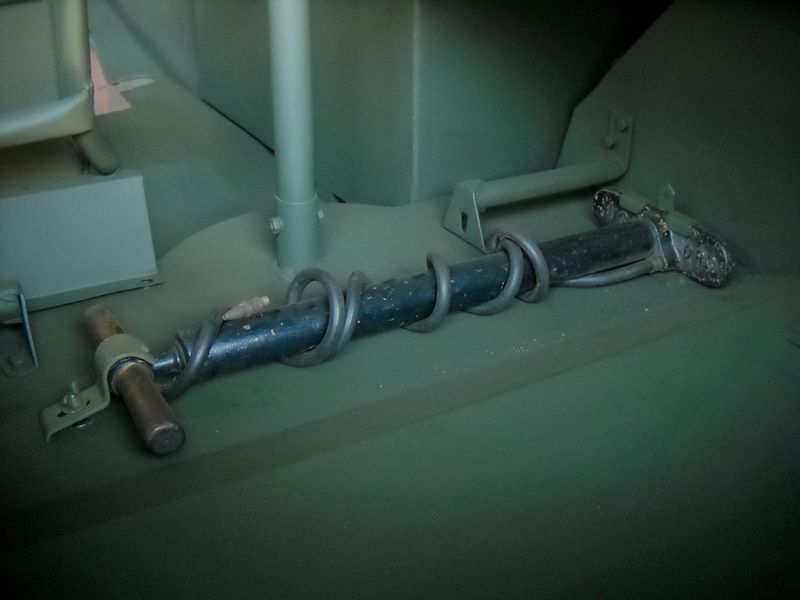 Parts of the jeep who were out of the way were sometimes missed in the process of repainting and stayed army OD. 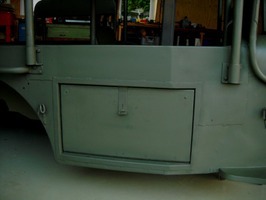 In our case we chose to leave the firewall, the bottom of the body, and the interiors of glove and toolboxes army OD, while the rest was painted forest green. 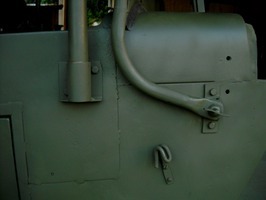 During the campaign in Okinawa a lot of amb jeeps were camouflaged, but for the moment we stick to the lusterless forest green. 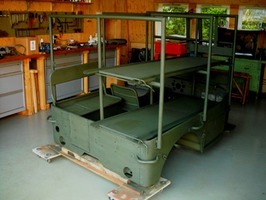 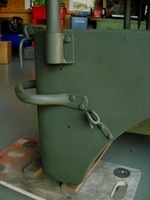 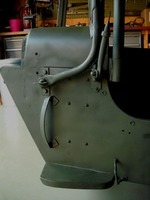 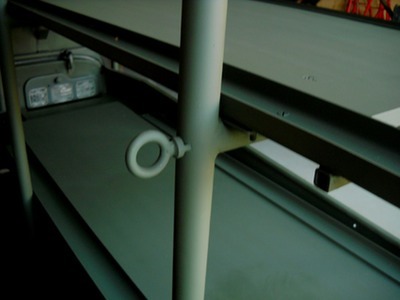 The photo’s show the assembled body with grab handles, brackets for the superstructure, hold down hooks, and the new position of the windshield in the for the amb jeep typical straight angle. 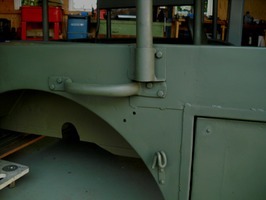 This is where our restoration is to date. We will keep you posted and add more information on the build-up phase of the frame, as the restoration moves forward.